Touches of marble and glass mixed with clean white subway tile set the stage for an elegant, yet casual, master bathroom. A clean, crisp white space provides a relaxing retreat to unwind from the day. 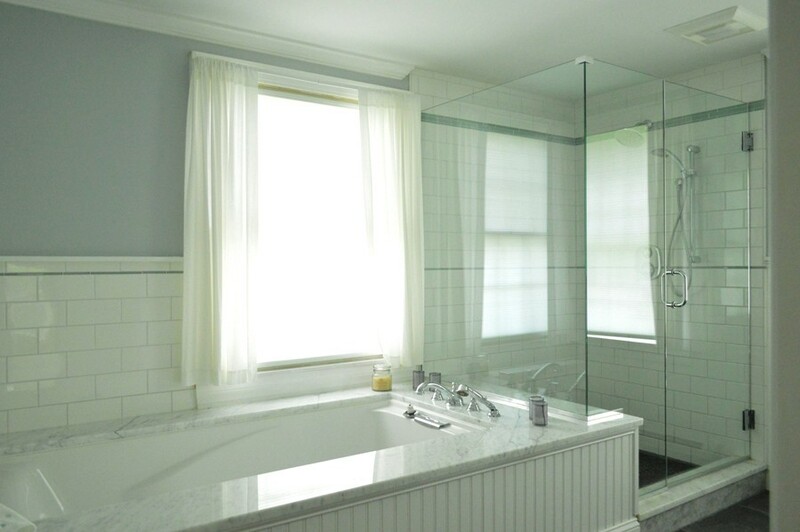 A roomy tub, mounted underneath a classic carrara marble top lends a formal elegance to the aesthetic. A frameless custom shower transmits light, which radiates through the glass and reflects from the polished marble surfaces. 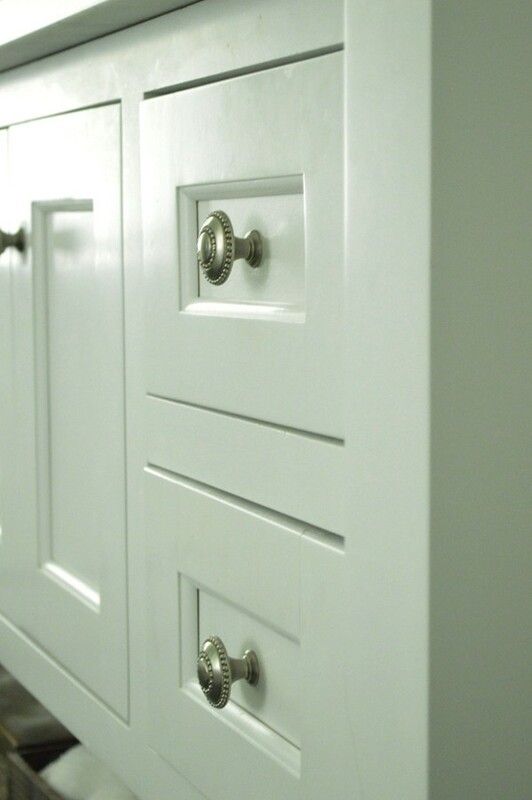 Painted wood cabinetry grounds the space and offers an efficient storage solution.